Keshia Knight Pulliam (born April 9, 1979)  is an American actress. She is known for her childhood role as Rudy Huxtable, the youngest child of Cliff and Clair Huxtable at just the age of 5 to 13, on the NBC sitcom The Cosby Show (1984–92) and as Miranda Lucas-Payne on the TBS comedy-drama Tyler Perry's House of Payne (2007–12). Knight Pulliam won a celebrity version of Fear Factor in September 2002. She also won a celebrity version of The Weakest Link , and participated in Celebrity Mole 2: Yucatan . In 2004, she appeared in Chingy's music video for "One Call Away". In 2005, she played Darnelle in Beauty Shop with Queen Latifah. Knight Pulliam performed in Donald Gray's play The Man of Her Dreams in the fall of 2006 in St. Louis. In 2008, she joined the cast of Tyler Perry's House of Payne as Miranda, the new wife of Calvin Payne. The role earned her the 2009 and 2010 NAACP Image Awards for Outstanding Supporting Actress in a Comedy Series. In 2009, she played Candace "Candy" Washington in the film Madea Goes to Jail . Knight Pulliam appeared in Tank's 2010 music video for his cover of "I Can't Make You Love Me", playing his love interest. Celebrity Mole: Yucatán was the fourth overall season of the American version of The Mole and aired from January 7 to February 18, 2004. It was filmed on the Yucatán Peninsula in Mexico, and based primarily at the Occidental Grand Flamenco Xcaret Resort. Filming was done in the fall of 2003. The Celebrity Apprentice 7 is the seventh installment of the reality game show, Celebrity Apprentice. Despite this season having long concluded filming in early 2014, it premiered on Sunday, January 4, 2015. As a result of the significant time between the season's filming and its airing, numerous spoilers were released. The season aired more than a year and a half after the conclusion of the previous season. This was Donald Trump's final season as host as he was replaced by Arnold Schwarzenegger amidst Trump's campaign for the U.S. Presidency in advance of the 2016 election. 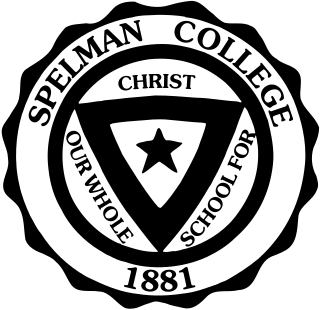 Spelman College is a private, liberal arts, women's college in Atlanta, Georgia. 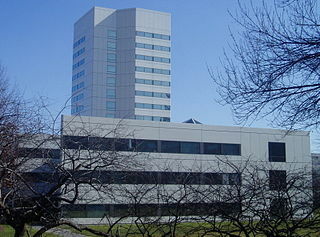 The college is part of the Atlanta University Center academic consortium in Atlanta. Founded in 1881 as the Atlanta Baptist Female Seminary, Spelman was the fourth historically black female institution of higher education to receive its collegiate charter in 1924. Therefore, Spelman College is America's oldest private historically black liberal arts college for women. 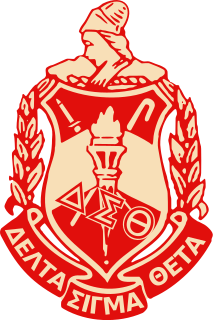 Delta Sigma Theta is a Greek-lettered sorority of college-educated women dedicated to public service with an emphasis on programs that target the African American community. Delta Sigma Theta was founded on January 13, 1913, by twenty-two collegiate women at Howard University in Washington, D.C. Membership is open to any woman who meets the requirements, regardless of religion, race, or nationality. Women may join through undergraduate chapters at a college or university, or through an alumnae chapter after earning a college degree. This page lists the winners and nominees for the NAACP Image Award for Outstanding Supporting Actress in a Comedy Series. The award was first given during the 1996 ceremony and since its conception, Keshia Knight Pulliam, Terri J. Vaughn, Vanessa Williams and Camille Winbush hold the record for the most wins with three each. Malcolm-Jamal Warner is an American actor, director, producer, and writer. He is best known for his roles as Theo Huxtable on the NBC sitcom The Cosby Show and as Malcolm McGee on the UPN sitcom Malcolm & Eddie. He also starred as Dr. Alex Reed in the sitcom Reed Between the Lines. He currently stars as Dr. AJ Austin on the FOX medical drama The Resident. Terri Juanita Vaughn is an American actress, director and producer. She is best known for her role as high school secretary Lovita Alizé Jenkins-Robinson in The WB sitcom The Steve Harvey Show (1997–2002), for which she received three NAACP Image Award for Outstanding Supporting Actress in a Comedy Series. 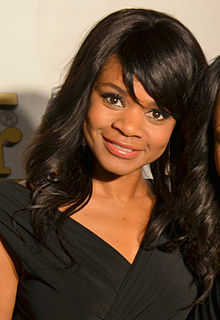 She later co-starred in the UPN/The CW sitcom All of Us (2003–2005), and TBS sitcom Meet the Browns (2009–2011). Edgerton "Ed" Hartwell II is a former American football linebacker. He played college football at Western Illinois and was drafted by the Baltimore Ravens in the fourth round of the 2001 NFL Draft. Hartwell was also a member of the Atlanta Falcons, Cincinnati Bengals, Oakland Raiders and Las Vegas Locomotives. Tyler Perry is an American actor, playwright, filmmaker, and comedian. In 2011, Forbes listed him as the highest paid man in entertainment, earning $130 million USD between May 2010 and May 2011. Shari Headley is an American actress and former model. 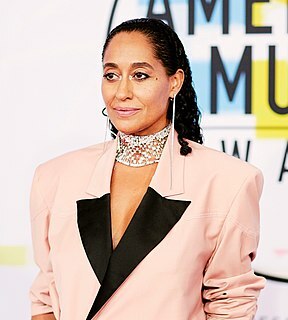 Headley is best known for her role as Lisa McDowell in the 1988 box-office hit romantic comedy film, Coming to America. Headley also has appeared in films The Preacher's Wife (1996) and Johnson Family Vacation (2004). On television, Headley starred as Det. Mimi Reed in the ABC daytime soap opera, All My Children on a regular basis from 1991 to 1994. As lead actress, she starred in the Fox short-lived drama series, 413 Hope St. (1997-1998), for which she received NAACP Image Award for Outstanding Actress in a Drama Series nomination. In 2014, Headley began starring as villainous Jennifer Sallison in the Oprah Winfrey Network primetime soap opera, The Haves and the Have Nots. Roger Marcellus Bobb is the President and CEO of Bobbcat Films a film and television production company based in Atlanta, GA. Prior to creating Bobbcat Films, Bobb served as the Executive Vice President of Tyler Perry Studios. He is the producer for hit television shows Tyler Perry's House of Payne, Meet The Browns, The Rickey Smiley Show, It's A Manns World and Mann & Wife. He is the producer of eleven Tyler Perry films. The first season of the Tyler Perry's House of Payne began airing on June 6, 2007, and concluded on September 26, 2007. The season contained 37 episodes. Although this is the first season of the series, a set of 10 test episodes aired in the summer of 2006 on syndicated networks. The fourth season of the Tyler Perry's House of Payne began airing on June 4, 2008, and concluded on August 6, 2008. It stars Keshia Knight Pulliam as Miranda, Cassi Davis as Ella Payne, LaVan Davis as Curtis Payne, Allen Payne as CJ Payne, Lance Gross as Calvin Payne, Demetria McKinney as Janine Payne, Larramie "Doc" Shaw as Malik Payne, China Anne McClain as Jazmine Payne, and Denise Burse as Claretha Jenkins. The season contained 25 episodes. The fifth season of the Tyler Perry's House of Payne began airing on December 3, 2008, and concluded on June 3, 2009. It stars Keshia Knight Pulliam as Miranda, Cassi Davis as Ella Payne, LaVan Davis as Curtis Payne, Allen Payne as CJ Payne, Lance Gross as Calvin Payne, Demetria McKinney as Janine Payne, and Larramie "Doc" Shaw as Malik Payne. This season consists of 26 episodes. All episodes of this season of House of Payne were recorded in front of a live studio audience. The seventh season of Tyler Perry's House of Payne began airing on March 30, 2011, and ended on June 15, 2011. It stars LaVan Davis as Curtis Payne, Cassi Davis as Ella Payne, Allen Payne as CJ Payne, Lance Gross as Calvin Payne, Demetria McKinney as Janine Payne and Keshia Knight Pulliam as Miranda Payne. "Goodbye Mr. Fish" or sometimes "Good-bye Mr. Fish", "Goodbye, Mr. Fish" or just "Mr. Fish" is the second episode of the first season of the American sitcom The Cosby Show. The episode was directed by Jay Sandrich and written by Earl Pomerantz. "Goodbye Mr. Fish" originally aired in the United States on NBC on Thursday September 27, 1984, at 8:00 PM Eastern time. The eighth and final season of Tyler Perry's House of Payne began airing on October 21, 2011 and ended, with the series finale, on August 10, 2012. It stars LaVan Davis as Curtis Payne, Cassi Davis as Ella Payne, Allen Payne as CJ Payne, Lance Gross as Calvin Payne, Demetria McKinney as Janine Payne, Keshia Knight Pulliam as Miranda Payne and Palmer Williams, Jr. who joins the cast as Floyd Jackson, and consists of 62 episodes. It also stars Larramie "Doc" Shaw as Malik and China Anne McClain as Jazmine who are both in a limited number of episodes due to the shows that they also starred in. Demetria Dyan McKinney is an American actress and singer. From 2006 to 2012 she starred in the TBS sitcom Tyler Perry's House of Payne. Her other series regular roles include Tv One sitcom The Rickey Smiley Show, Bounce TV prime time soap opera Saints & Sinners and Syfy horror drama Superstition. 1 2 "Keshia Knight Pulliam Biography (1979-)". Filmreference.com. Retrieved March 20, 2011. 1 2 3 4 "Keshia Knight Pulliam". TVGuide.com . Retrieved January 5, 2015. 1 2 3 4 "About Keshia". Keshia Knight Pulliam (official site). Retrieved January 5, 2015. ↑ "Real Talk with Jeanne Roberts EP 107 Segment 1, Keshia Knight Pulliam". YouTube. Retrieved March 20, 2011. ↑ Shaw, A.R. (February 16, 2011). "The Evolution of Keshia Knight Pulliam". Rollingout.com. Archived from the original on February 21, 2011. Retrieved February 24, 2011. ↑ Maher, Natalie (February 13, 2018). "Get to Know the 'Celebrity Big Brother' Cast: Mark McGrath, Omarosa & More". www.billboard.com. Retrieved February 23, 2018. ↑ Puente, Maria (2016-01-01). "Ex-'Cosby' kid Keshia Knight Pulliam is engaged". USA Today . Retrieved 2018-04-12. ↑ Lesley Messer (January 1, 2016). "Keshia Knight Pulliam Is Engaged". ABC News . Retrieved January 23, 2016. ↑ Joi-Marie McKenzie (January 22, 2016). "Keisha Knight Pulliam Reveals She Wed Ed Hartwell on New Years". ABC News. Retrieved January 23, 2016. ↑ Martin, Annie. "Keshia Knight Pulliam headed for divorce after pregnancy news: The actress and Ed Hartwell married in January after four months of dating". United Press International . July 26, 2016. ↑ "Keshia Knight Pulliam Gives Birth, Welcomes Baby Girl". US Weekly . 23 January 2017. Retrieved December 3, 2018. ↑ "Keshia Knight Pulliam Welcomes Daughter Ella Grace". People . January 23, 2017. Retrieved December 3, 2018. ↑ Ho, Rodney (April 24, 2018). "Keshia Knight Pulliam Finalizes Divorce with Ed Hartwell, Gets Primary Custody". WSB Radio . Retrieved April 25, 2018.